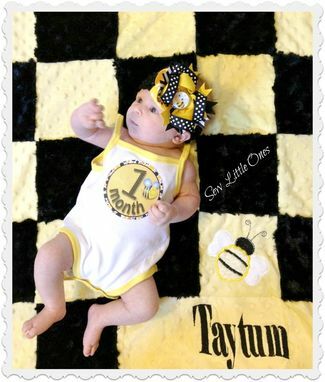 This unbelievably soft and luxurious minky dimple dot yellow and swirl black fabric is perfect for your little ones. 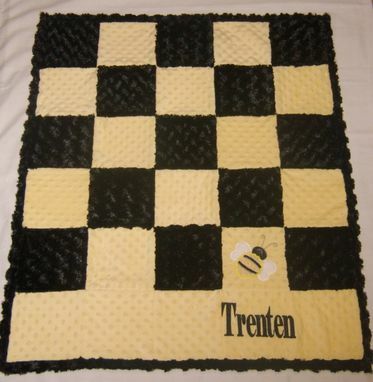 Super soft blanket is great for laying out a play space on the floor or cuddling up with mom. Great for nap time, ideal for newbies entering a structured setting! Give your child a comfort blanket to use at school, daycare or the sitter. 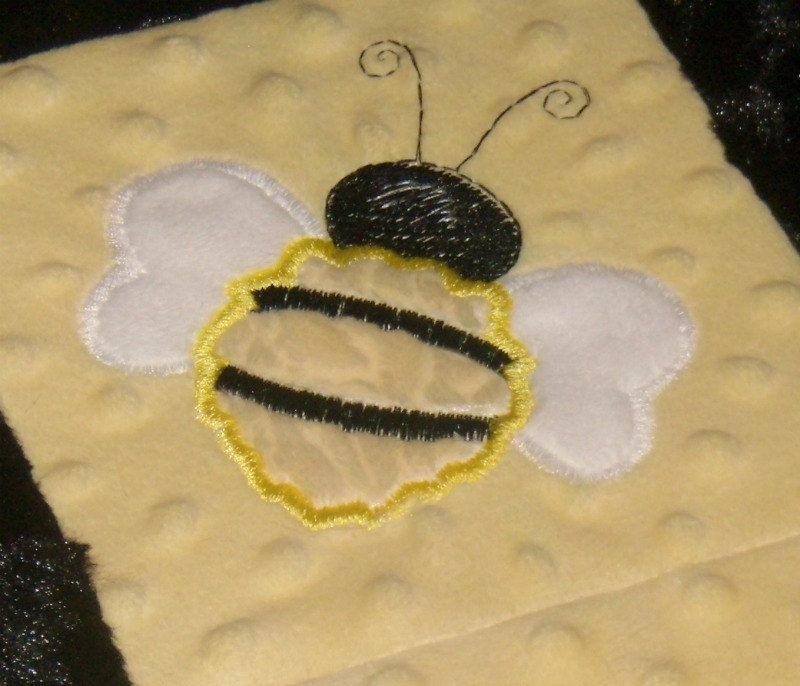 Blanket Measures 30" x 36" Includes a charming little honey bee applique. Add one personalize name for FREE. Inquiry about additional name prices. 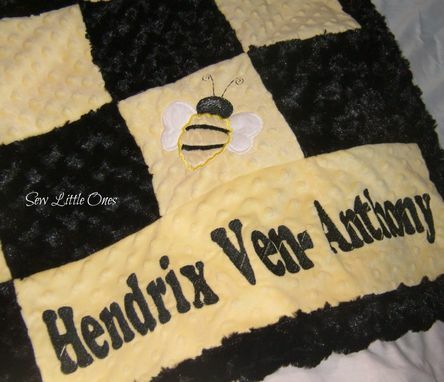 NOTE: When choosing to personalize, email your text exactly as you would like it to appear on your blanket. Choose from the numbered chart. Care instructions: machine wash cold in gentle cycle with like colors, do NOT bleach & tumble dry low.